The Pantas and Ting Sutardja Center for Entrepreneurship & Technology is the premiere institution at UC Berkeley for the study and practice of entrepreneurship and technology innovation. Join SCET for CalDay 2019! Get ready for SCET’s Collider Cup IV! In this episode of the Sutardja Center of Entrepreneurship & Technology’s podcast Alt.Meat & Greet, we speak with Jason Ryder, former vice president of research and development at Hampton Creek, a leading plant-based foods company, and now cofounder and CTO at Miraculex, a food technology company focused on developing high quality natural protein sweeteners and flavor enhancers. Ryder discusses how food caught his interest because of the immense resources required for its production, with meat being one of the least efficient forms. The energy needed to produce and distribute meat-related products is immense. Animals themselves are very inefficient at converting resources to energy for people to eat. Further, Ryder believes that our current economic system does not value the true cost of production appropriately. Prices do not take into account the energy that is required to produce meat and other products. There is also immense waste in the supply chain, especially with meat-related products. Ryder also discusses the process for creating foods at Hampton Creek. Their innovative protein discovery platform analyzes novel foods (e.g. mung beans) and is investigating the 380,000 plants that aren't typically eaten by people. Ryder talks about how the platform works and what attributes they can contribute to plant-based meats and other alternative foods. He also talks about the key element for starting something new that applies to all entrepreneurs. Have suggestions or comments about our website? Let us know. 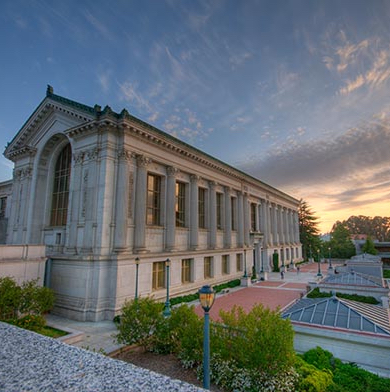 The Sutardja Center for Entrepreneurship & Technology is the premiere institution on the UC Berkeley campus for the study and practice of “technology-centric” entrepreneurship and innovation. Since 2005, SCET has created the foundation of Berkeley’s entrepreneurship ecosystem including SkyDeck, the Fung Institute, the Engineering Leadership Professional Program, Global Venture Lab, and an extensive ecosystem of Silicon Valley and Global partners (see our history).